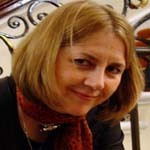 Edwards, Eiluned is Victoria and Albert Museum/London College of Fashion Joint Senior Research Fellow in Textiles and Dress. She has been researching the traditions of textiles and dress in India since 1991 and has worked extensively with the farming and herding communities of the Kachchh district, in Gujarat, documenting styles of dress and embroidery. She has also worked with artisans in Gujarat, Rajasthan and Andhra Pradesh and is presently working on a book on the traditions of textiles and dress in Gujarat. Craft, Handloom, Art, Interviews, Conversations, Micro-history, Art History, Sustainability, Sustainable Devt.